Discussion in 'Amateur Radio Amplifiers' started by KN4IBQ, Apr 15, 2019. I'll have to disagree. I think that amp uses the transistors to chop the DC, to a transformer. The fact that it is squealing, reminds me of the one I had. It's chopping on & off, because you are using SSB. AM will keep the relay closed. The light glows brighter with the 30 amp supply, because it can handle the draw. Can you post a pic of the side that has the SO-239 connectors (Coax connectors)? Sure no problem. I will get a picture of that side after work today. Not according to the manufacturer's documents, which I posted back in post #7. Those came from the "CB Tricks" website, which had all documentation for that model. I do not see the transformer (In the pictures) in the schematic. I had one very similar, but it had a toroid transformer. The "Squealing" was from the DC chopping of the transistors on the back. Thanks for the correction, it's likely pretty important. I can't find a "rear view" image of the mobile amp. 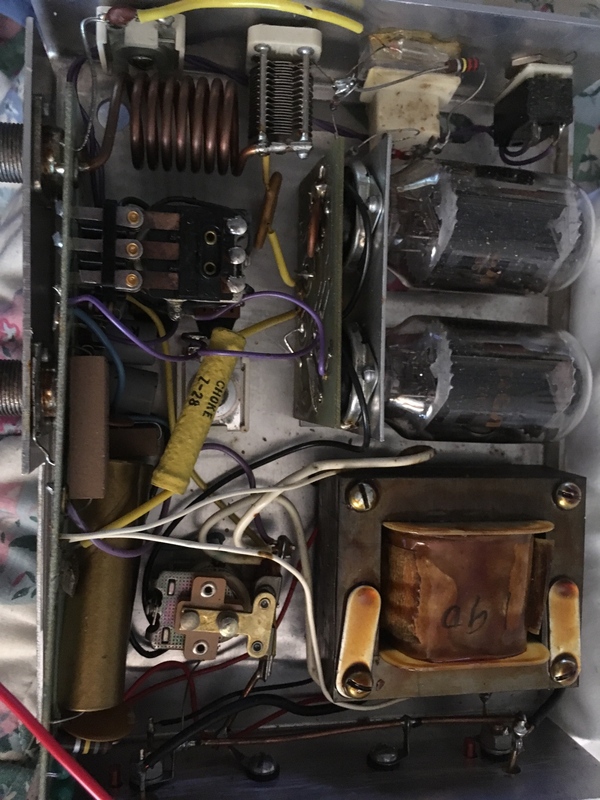 Maybe the OP can post one, it should reveal what kind of power connection it has and maybe a heatsink for a multivibrator transistor power supply. On his 2nd atatchment, you can see the power coming in the back & going right to the transistors for chopping. That pic has the power in. e will post a pic of the SO239s tonight & we should be able to see if there are an other inputs. Wanted to say thank you all again for all your help so far. I have 3 images here. https://imgur.com/j7tYvtR That is just the outside, here are the so239s with the cover off https://imgur.com/hPuJ7tH ,and here is the interior of them, https://imgur.com/VnMog0t.